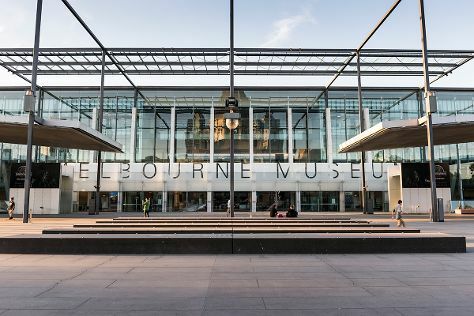 On the 10th (Tue), see the interesting displays at Melbourne Museum, then take a stroll through Degraves Street, and then wander the streets of Melbourne Central. Keep things going the next day: admire the masterpieces at National Gallery of Victoria, then learn about all things military at Shrine of Remembrance, and then take in nature's colorful creations at Royal Botanic Gardens. For ratings, traveler tips, maps, and more tourist information, you can read our Melbourne route planner . Dublin, Ireland to Melbourne is an approximately 25-hour flight. You can also do a combination of flight and train. The time zone changes from Greenwich Mean Time to Australian Eastern Standard Time (Victoria), which is usually a 10 hour difference. In September, daytime highs in Melbourne are 20°C, while nighttime lows are 7°C. Wrap up your sightseeing on the 11th (Wed) early enough to drive to Cowes. Kick off your visit on the 12th (Thu): identify plant and animal life at Phillip Island Wildlife Park, then step off the mainland to explore Koala Conservation Centre, then step off the mainland to explore Churchill Island, and finally take an in-depth tour of Phillip Island Grand Prix Circuit. To see photos, maps, reviews, and more tourist information, you can read our Cowes tour planner . You can drive from Melbourne to Cowes in 2 hours. Alternatively, you can take a bus; or do a combination of train and taxi. In September, daily temperatures in Cowes can reach 19°C, while at night they dip to 9°C. Wrap up your sightseeing on the 12th (Thu) to allow time to drive to Port Campbell. Port Campbell is a coastal town in Victoria, Australia. Start off your visit on the 13th (Fri): explore the striking landscape of Port Campbell National Park. 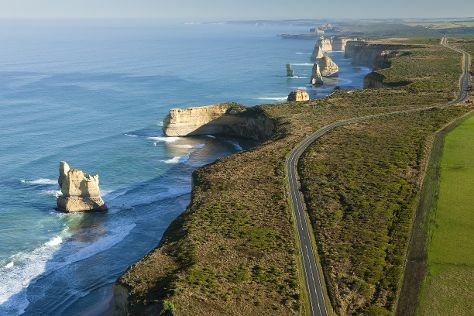 On the 14th (Sat), you'll have a packed day of sightseeing: explore the striking landscape at London Bridge, take some stellar pictures from Loch Ard Gorge, admire all the interesting features of Gibsons Steps, then experience rural life at Apostle Whey Cheese, and finally take in the dramatic natural features at The Razorback. To see maps, photos, and tourist information, read our Port Campbell travel route builder tool . Getting from Cowes to Port Campbell by car takes about 5 hours. Other options: do a combination of taxi, train, and bus; or do a combination of bus and train. Cap off your sightseeing on the 14th (Sat) early enough to go by car to Lorne. Lorne is a seaside town on Louttit Bay in Victoria, Australia. Start off your visit on the 15th (Sun): take in the dramatic scenery at Erskine Falls, make a trip to Teddy's Lookout, and then take a peaceful walk through Mait's Rest. Keep things going the next day: take a peaceful walk through Lorne Beach. To find traveler tips, where to stay, reviews, and other tourist information, use the Lorne holiday planner. Drive from Port Campbell to Lorne in 2 hours. Alternatively, you can take a bus. September in Lorne sees daily highs of 20°C and lows of 7°C at night. Cap off your sightseeing on the 16th (Mon) early enough to travel to Katoomba. 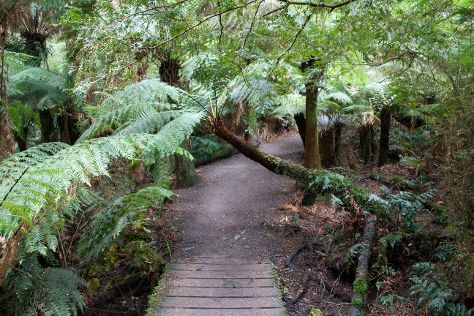 Start off your visit on the 17th (Tue): take a peaceful walk through Coachwood Glen Nature Trail, take your sightseeing to a higher altitude at Blue Mountains, then hike along Cathedral of Ferns Walk, and finally take in the dramatic scenery at Wentworth Falls. Get ready for a full day of sightseeing on the 18th (Wed): hike along The Giant Stairway, then skim along the rocks with a canyoning and rapelling tour, and then take in breathtaking views at Lincoln's Rock. For other places to visit, more things to do, traveler tips, and tourist information, use the Katoomba online trip itinerary maker . Traveling by combination of bus, flight, and train from Lorne to Katoomba takes 9.5 hours. Alternatively, you can do a combination of bus, shuttle, flight, and train; or drive. Expect a bit warmer weather when traveling from Lorne in September: highs in Katoomba hover around 26°C, while lows dip to 9°C. 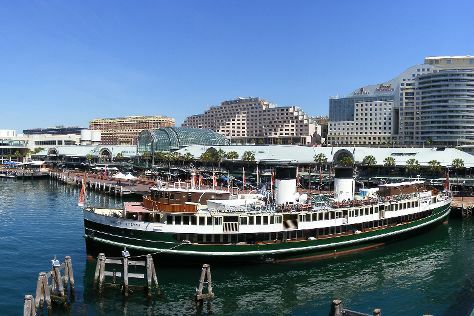 Finish your sightseeing early on the 18th (Wed) to allow enough time to drive to Sydney. On the 19th (Thu), wander the streets of Darling Harbour, see a show at Sydney Opera House, and then enjoy the sand and surf at Bondi Beach. Here are some ideas for day two: contemplate the long history of Elizabeth Bay House, then kick back and relax at Manly Beach, and then take a stroll through The Rocks. To find where to stay, more things to do, and tourist information, use the Sydney road trip planning website . Getting from Katoomba to Sydney by car takes about 1.5 hours. Other options: take a train. Traveling from Katoomba in September, plan for a bit warmer nights in Sydney, with lows around 14°C. 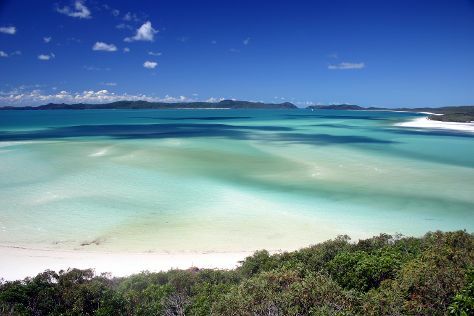 Finish your sightseeing early on the 20th (Fri) to allow enough time to travel to Whitsunday Island. Kick off your visit on the 21st (Sat): contemplate the waterfront views at Hill Inlet and then tour the pleasant surroundings at Whitehaven Beach. For photos, more things to do, other places to visit, and other tourist information, you can read our Whitsunday Island trip itinerary planner. Traveling by flight from Sydney to Whitsunday Island takes 4 hours. Alternatively, you can do a combination of flight and bus; or take a train. Expect somewhat warmer weather when traveling from Sydney in September: highs in Whitsunday Island hover around 32°C, while lows dip to 17°C. Finish up your sightseeing early on the 21st (Sat) so you can catcht the bus to Airlie Beach. On the 22nd (Sun), identify plant and animal life at Wildlife Areas. Get ready for a full day of sightseeing on the 23rd (Mon): kick back and relax at Whitehaven Beach, then take a memorable tour with Tours, and then explore the galleries of Above & Below Photography. To see reviews, maps, more things to do, and tourist information, use the Airlie Beach vacation planner. Getting from Whitsunday Island to Airlie Beach by bus takes about an hour. Other options: ride a ferry. Traveling from Whitsunday Island in September, you will find days in Airlie Beach are slightly colder (29°C), and nights are a bit warmer (23°C). Wrap up your sightseeing on the 23rd (Mon) early enough to ride a ferry to Hamilton Island. Start off your visit on the 24th (Tue): discover the deep blue sea with a scuba or snorkeling tour. Keep things going the next day: go for a stroll along the water at Hamilton Island Marina and then enjoy the sand and surf at Catseye Beach. To see traveler tips, maps, photos, and more tourist information, you can read our Hamilton Island trip itinerary maker site . You can ride a ferry from Airlie Beach to Hamilton Island in an hour. September in Hamilton Island sees daily highs of 29°C and lows of 23°C at night. Finish your sightseeing early on the 25th (Wed) so you can travel to Magnetic Island. Kick off your visit on the 26th (Thu): enjoy the sand and surf at Geoffrey Bay, look for all kinds of wild species at Nelly Bay to Arcadia Trail, and then step off the mainland to explore Magnetic Island Forts Walk. On the 27th (Fri), you'll have a packed day of sightseeing: explore the striking landscape of Magnetic Island National Park and then see what you can catch with a fishing tour. For more things to do, ratings, photos, and other tourist information, read Magnetic Island trip itinerary tool . Do a combination of flight and ferry from Hamilton Island to Magnetic Island in 5.5 hours. Alternatively, you can do a combination of ferry and bus. In September in Magnetic Island, expect temperatures between 32°C during the day and 21°C at night. Finish your sightseeing early on the 27th (Fri) to allow enough time to travel back home.